Take a trip up the river with YCE! Join us on September 11th for a guided tour around our nearest hydropower scheme, and a picnic if the weather permits. If you attended our AGM, you’ll know all about Linton Hydro. They recently completed a £2.5m share issue for a hydropower scheme to harness the power of our own River Ouse up at Linton Lock. When the project is completed it will be the largest Archimedes screw turbine in the country, adding 280kW to the existing 100kW system. Alongside this the project will install a new canoeing course and rebuild the fish ladder which has become badly degraded. The developers behind the scheme, MannPower Hydro will give us a guided tour of the site, just before the works are started. We will meet at the site (on the Nun Monkton Estate) at 11am for a tour starting at 11:30am. If you can, why not cycle there with us? We will lead a group of cyclists from the riverside path at the foot of Marygate at 10am (map) on a route along cycle tracks and quiet roads. Please be there in good time to leave by 10am! Then after we’ve had the tour, if it’s not raining we’ll break out what we hope will be a beautiful, sun-soaked riverside bring-and-share picnic. 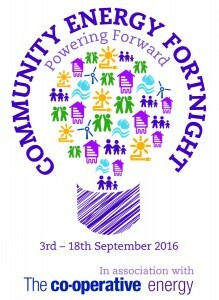 This event is part of the “Seeing and Celebrating” agenda for the national Community Energy Fortnight 2016, which this year runs from September 3rd-18th. We also have a facebook event for this tour here.